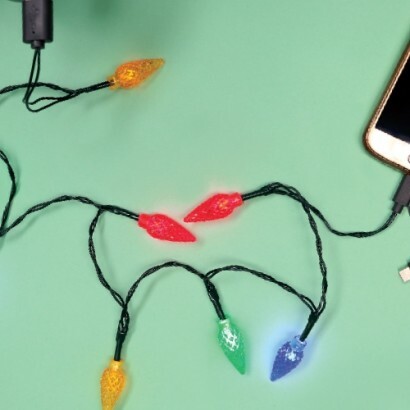 Power up your phone and spread a little Christmas cheer with this brilliantly festive Christmas lights charger! 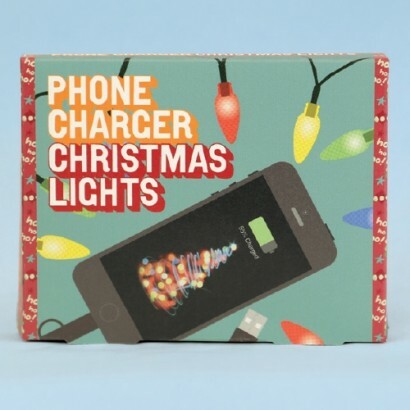 Suitable for use with Android devices and iPhone 5 onwards, this colourful charger features eight large bulbs each lit with an LED that light up as you charge your phone. A great way to brighten up desk spaces and to add extra Christmas fun to your home and office!